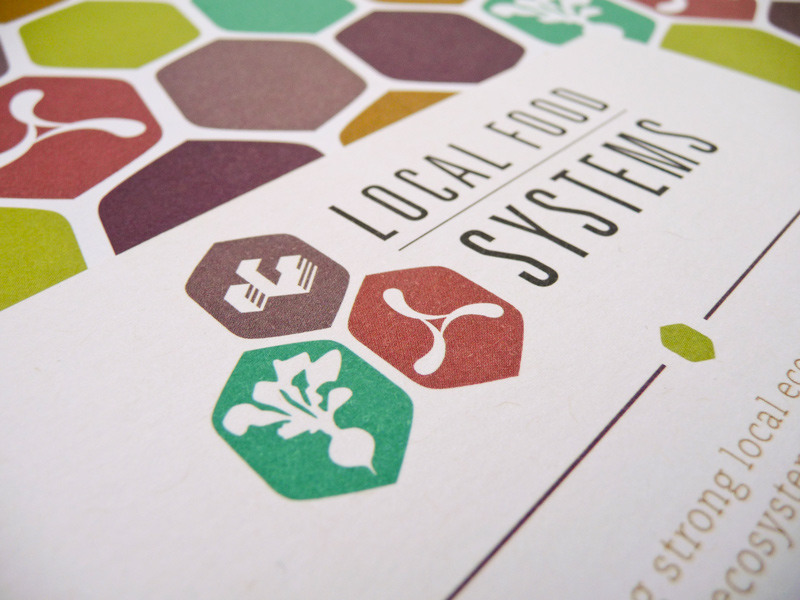 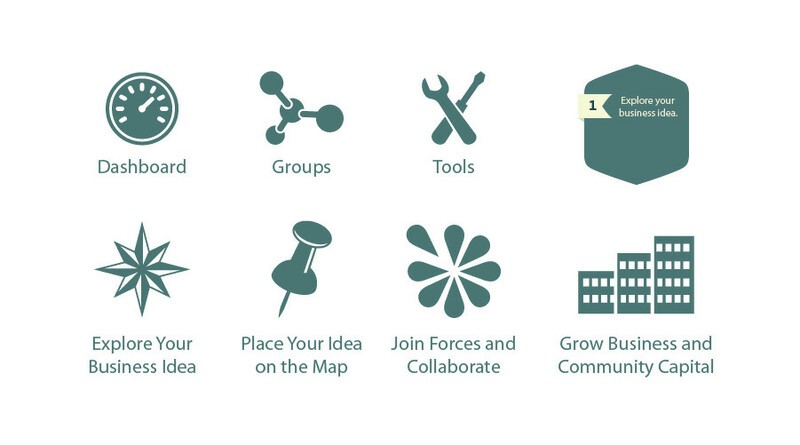 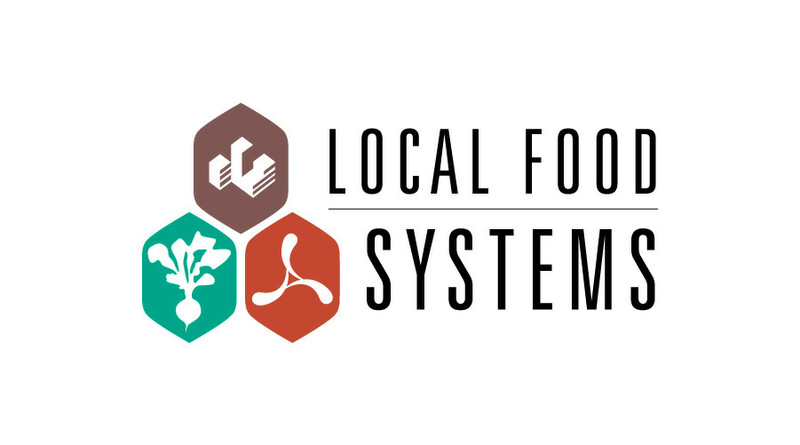 Local Food Systems is a non-profit startup dedicated to facilitating business connections and economic networks around the core industry of agriculture. 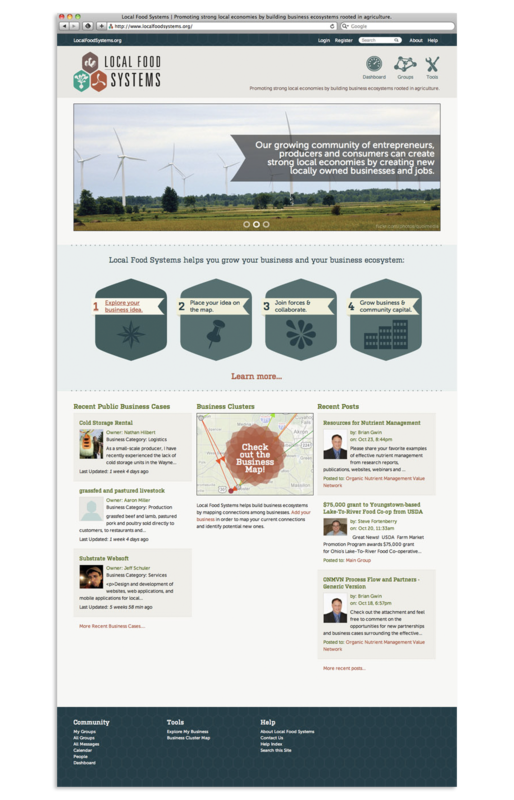 Businesses can be anything from farmers to biomass energy producers to manufacturing and many things in between. 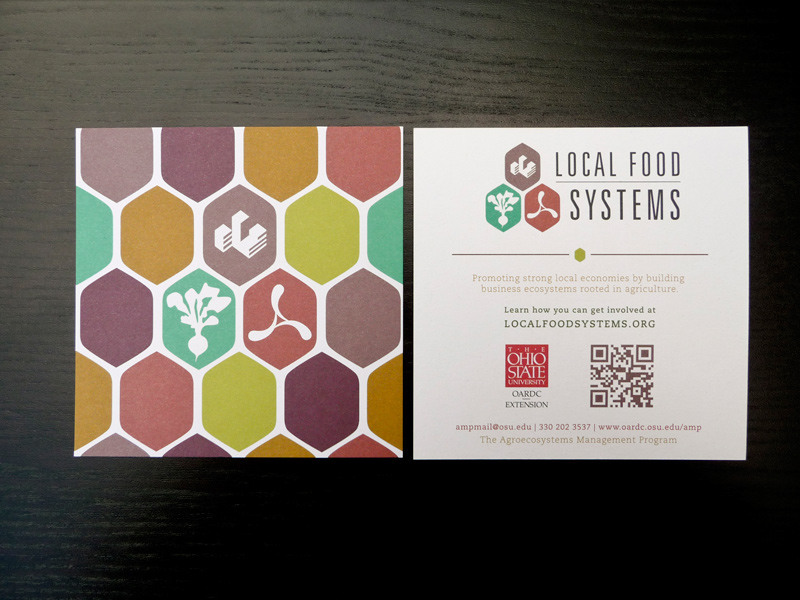 Their business prospects are diverse, so we avoided heavy usage of green and plant imagery to better define their brand as networking and community growth. 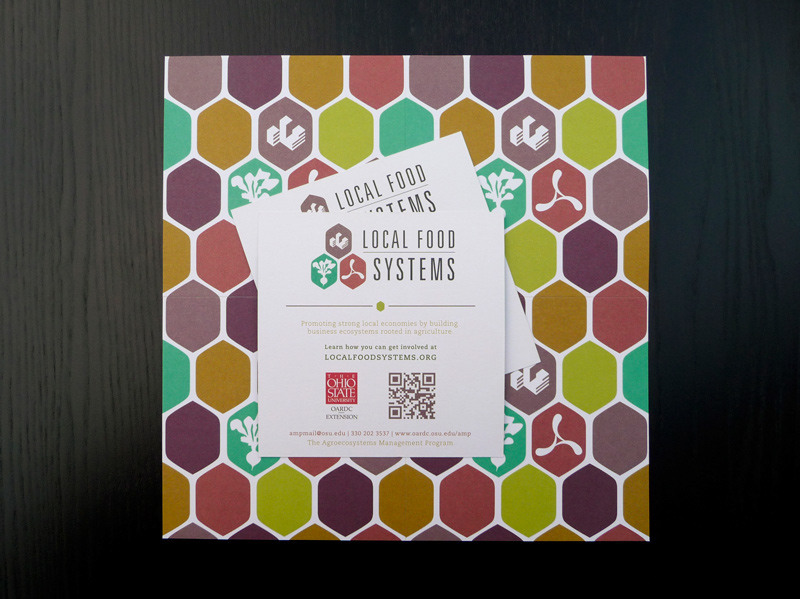 The honeycomb matrix was fitting and we carefully selected colors that were strong—but subdued—for differentiation. 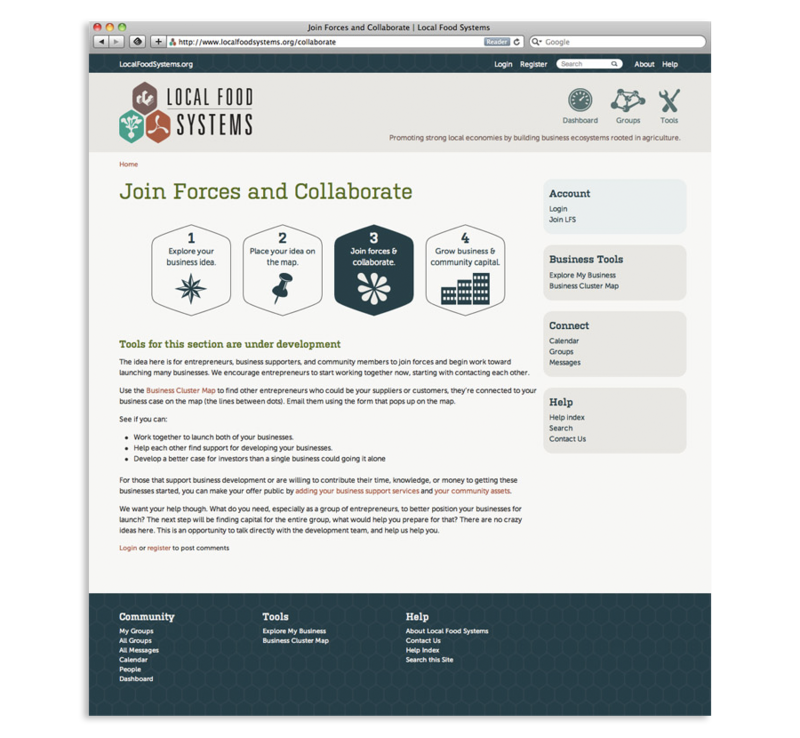 We skinned and designed the website in collaboration with Jeff Schuler at Substrate.